Throw-back Thursdays–These photos of me weaving hand-twisted cattail rush seats were taken in 1982, when I already had about six years weaving the hand-twisted rush under my belt. As you might have guessed from the odd size of these photos, the pictures were taken with a camera that produced small, square pictures. Remember those old things? 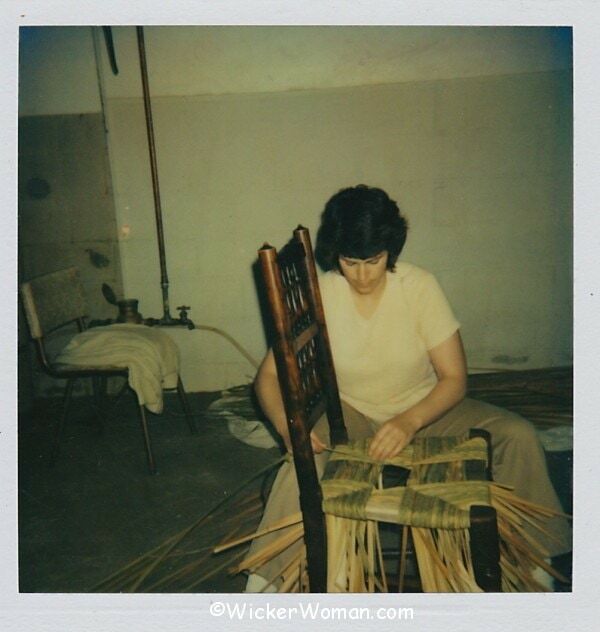 We lived in Rochester, Minnesota at the time and were renting, so my weaving business was relegated to the unfinished basement. I did quite a lot of wicker repair, chair caning and hand-twisted cattail rush for the antique businesses in Rochester during the 1980s. Customers coming from all over the country would bring me projects to work on, when they had appointments at the Mayo Clinic in Rochester. I did quite a lot of pieces for the Mayo Clinic too, but that’s fodder for another Throwback Thursday. 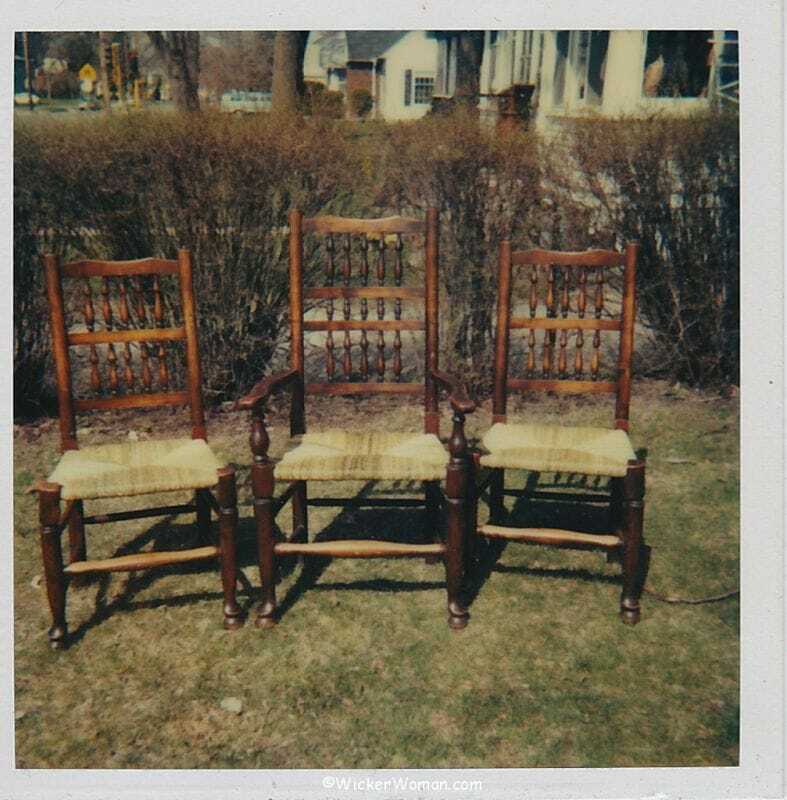 Wish I could have found a picture of the whole set, but this one with the three completed chairs was the best I could do. 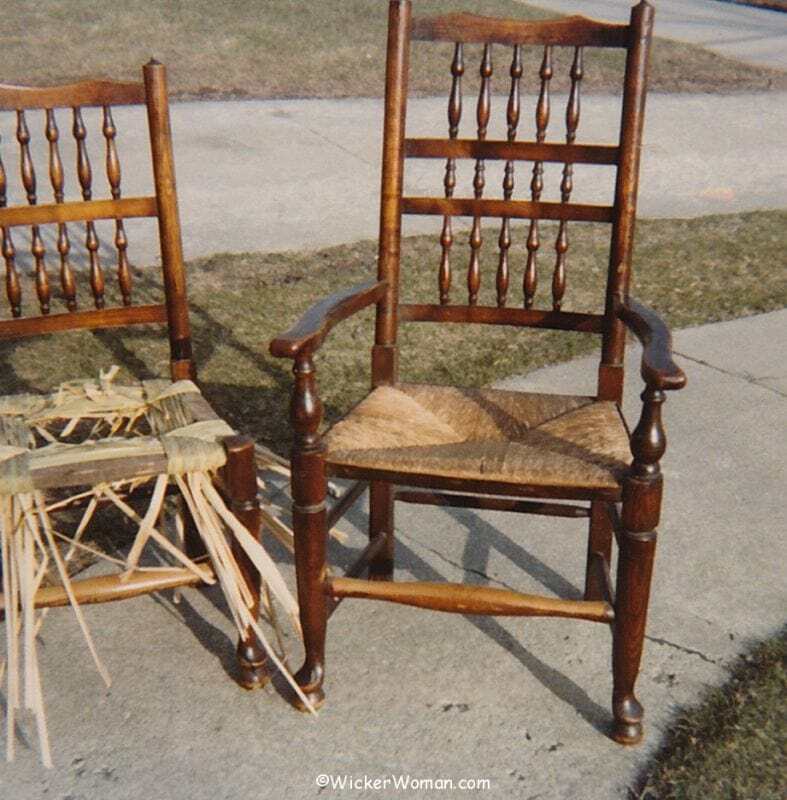 The full set of six, hand-twisted cattail leaf seat chairs were from a dealer I worked with a lot over the years. 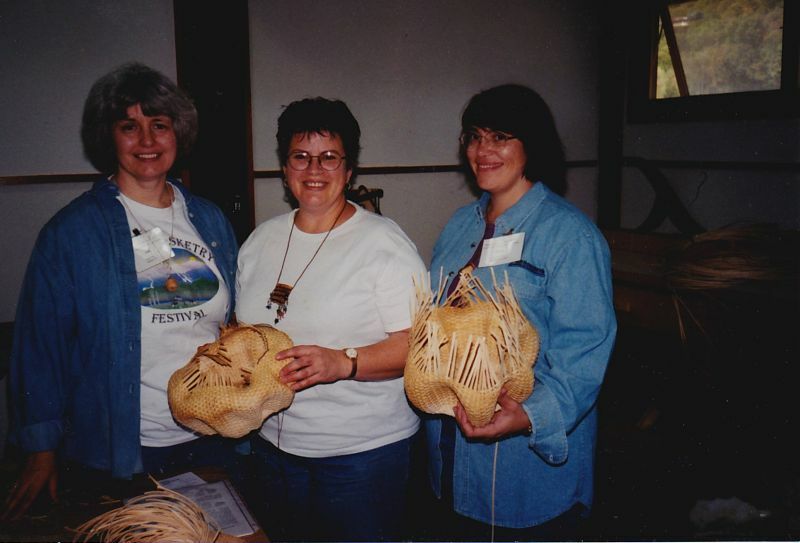 She had purchased them on a buying trip to England and at the time, I was one of a handful of people across the country that did hand-twisted rush in either cattail leaves or bulrush. What a big project that was and not without its challenges, but I was happy to work on this very old set the dealer said was from the 1800s. 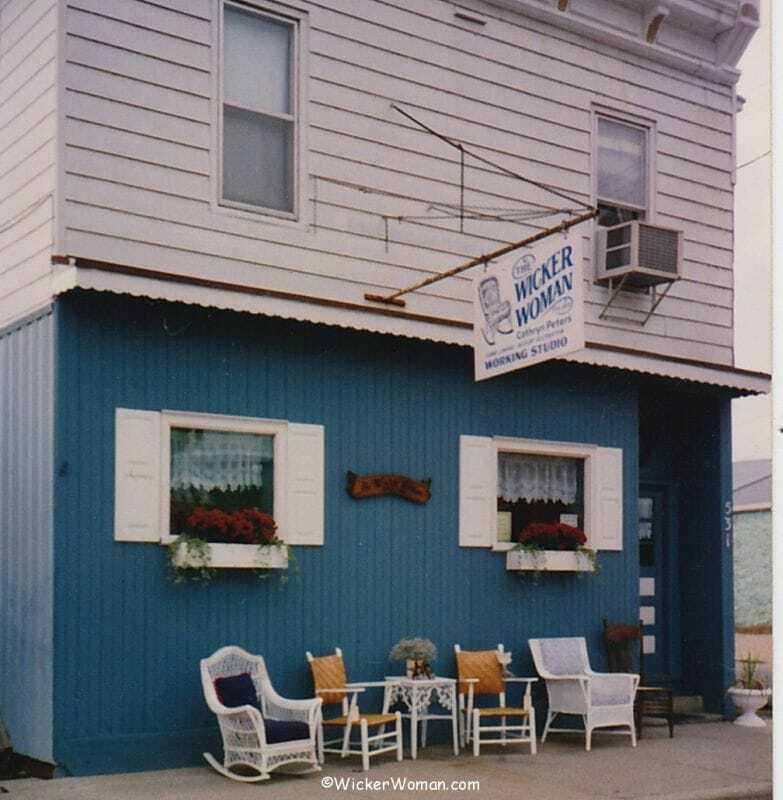 Wonder what ever happened to that set and how the seats held up over all the years?